Chris Dooley Pairs sponsors Steve and Pat Cook present Ryan Sandham and Gary Minton with the magnificent trophy. Steve and Pat, thank you for your continued sponsorship of this event. Club Chairman, Dave Phillips presents Craig McGuigan with his Club Merit Runner-Up prize money. 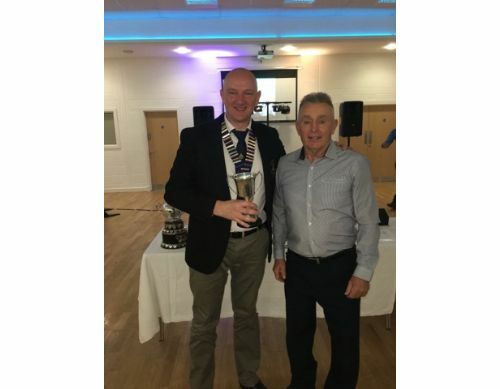 Club Chairman, Dave Phillips presents Michael McDonnell with the magnificent Club Merit Trophy. 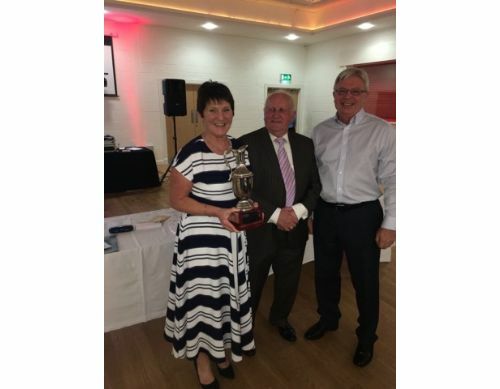 Club President, Liam Cormican and Honorary Club Vice-President Keith Bradley present Carol Howarth with the prestigious Club Person of the Year Trophy. Carol … sincere thanks for all you do for both the Ladies and Mixed teams. 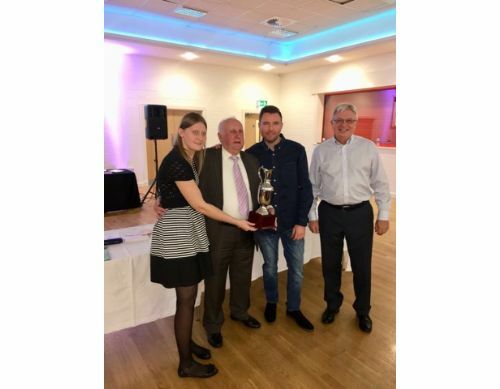 Club President, Liam Cormican and Honorary Club Vice-President Keith Bradley present Amanda Ridley and Lee Fletcher with the coveted Players, Player of the Year Trophy. 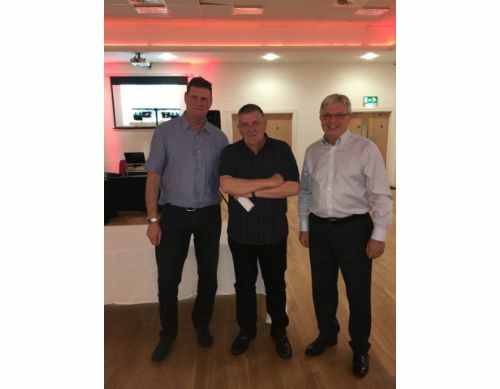 Club Chairman Dave Phillips and Honorary Club Vice-President Keith Bradley present Roy McGuigan with a small memento in recognition of the support Roy has shown the club over recent seasons. 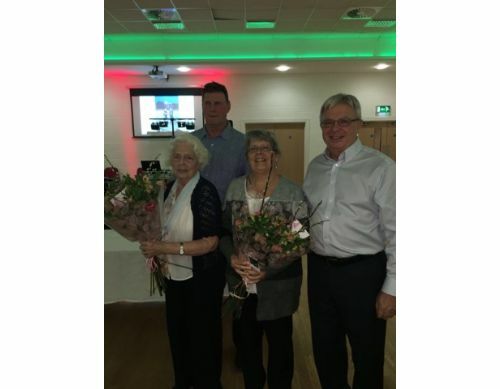 Club Chairman Dave Phillips and Honorary Club Vice-President Keith Bradley present Margaret Bentley and Lynne Ridley with bouquets of flowers in recognition of all the catering duties they have performed at club events over the years. 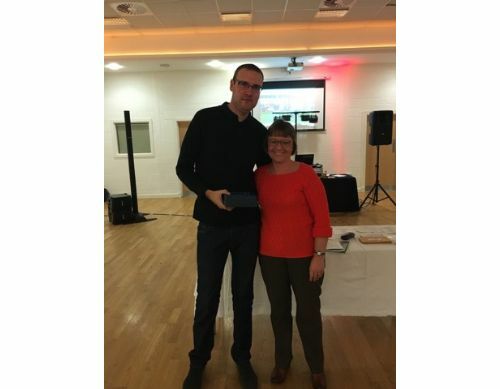 Health wise Ben Phillips did not enjoy the best of starts to 2017 and on behalf of the members and committee of the Lloyds, Lynn Pritchatt presented Ben with a small memento to say “It’s great to see you back Banjo”. 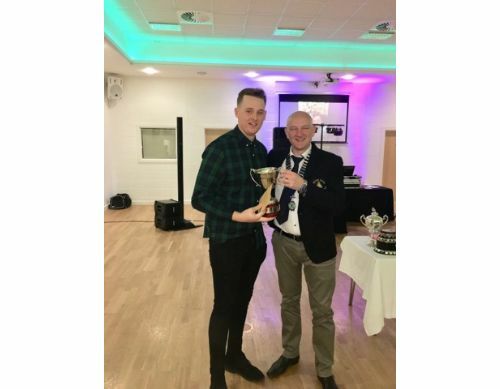 Dave Stott from the management council of the Altrincham LV League presents Craig McGuigan with the Altrincham LV League Pairs Trophy. 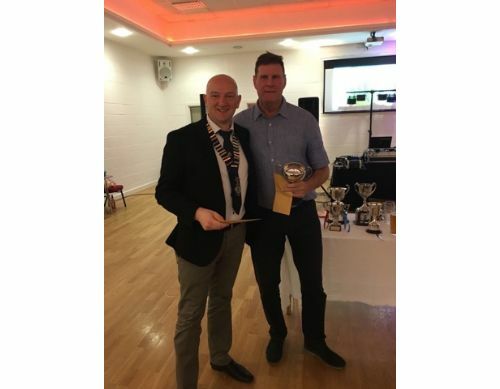 Craig’s partner in the competition was Jamie Bramley who unfortunately was unable to attend on the evening. 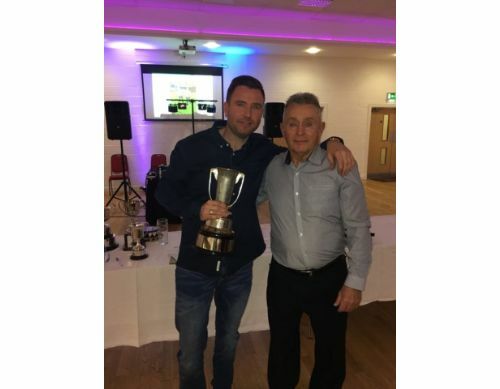 Dave Stott from the management council of the Altrincham LV League presents Lee Fletcher with the Altrincham LV League Senior Merit Trophy. Could this be the first of many Flecky? 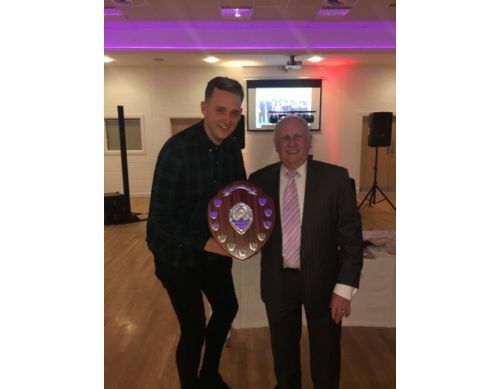 Club President, Liam Cormican presents Nathan Brown with the coveted Presidents Shield. The first of many? 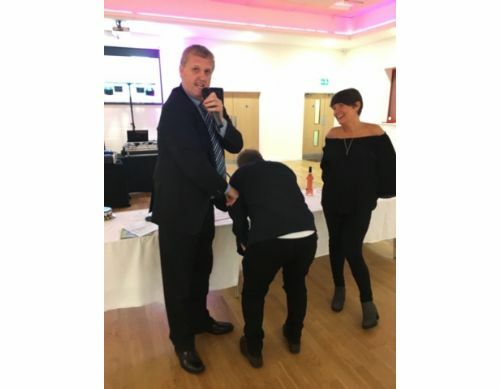 Male rear of the year judge Julie Green presented James Mills with the male rear of the year trophy. 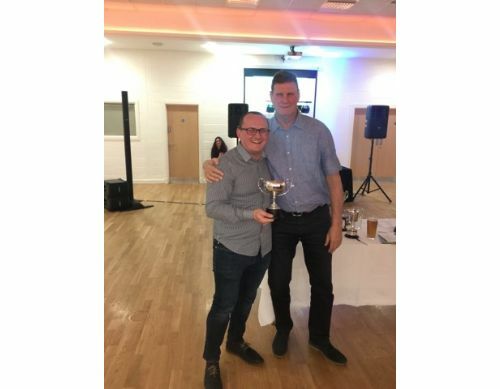 Here Millsey shows the just why he won the award! 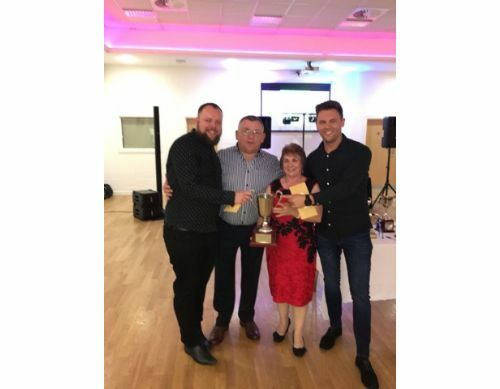 Female rear of the year judges Pete Smith and Michael McDonnell presented Michelle Conway with a special lifetime achievement award for all her efforts in attempting to win this coveted award over the years. Top girl, Michelle. 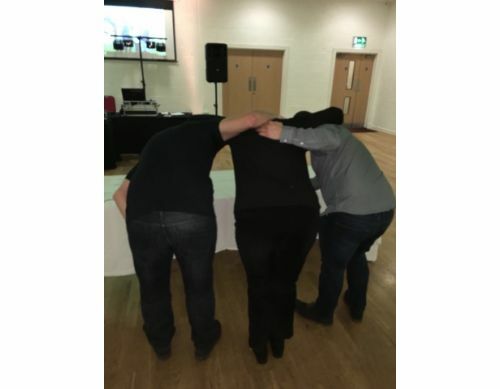 Female rear of the year judges Pete Smith and Michael McDonnell presented Denise Conliffe with coveted 2017 rear of the year award. 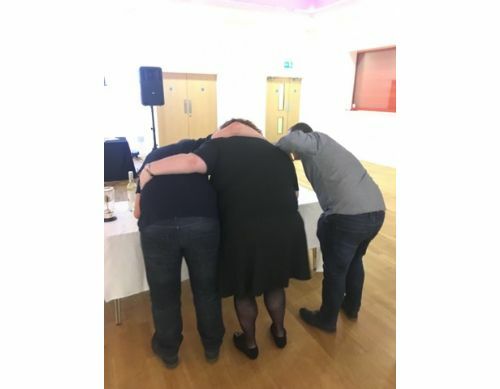 Here Pete, Denise and Michael show off her award winning “rear”. 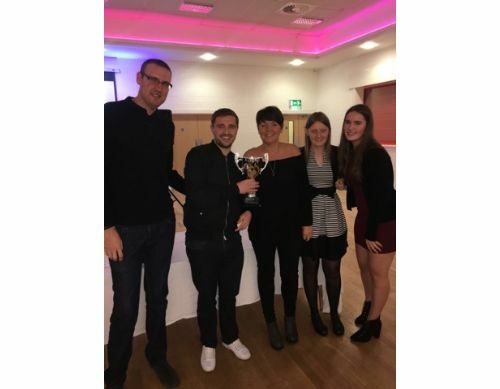 Ben Phillips, Competition Founder, and George Ridley’s Granddaughters, Amanda and Lorna Ridley present Julie Green and Andy Hamman with the George Ridley Mixed Pairs Trophy.